CRS® - The Certified Residential Specialist (CRS) is the professional designation offered by the Council of Residential Specialists. The council awards the prestigious CRS Designation to experienced REALTORS® who have completed advanced professional training and demonstrated outstanding professional achievement in residential real estate. It is the highest designation awarded to sales associates in the residential sales field. 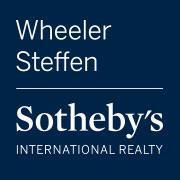 SRES®-A Seniors Real Estate Specialist® (SRES®) is a REALTOR® who is uniquely qualified to assist seniors in housing sales and purchases. The SRES® designation is awarded only to REALTORS®who have successfully completed a series of educational courses on how to help seniors and their families with later-in-life real estate transactions. They also draw upon the expertise of a network of senior specialists, such as estate planners, CPAs, and eldercare lawyers, and are familiar with local community resources and services. Their mission is to help seniors and their families navigate the maze of financial, legal and emotional issues that accompany the sale of the home. e-PRO®- Agents who earn their e-PPO® certification are willing to go the extra mile to provide the most up to date and sophisticated service and truly be a successful agent. Applying advanced technologies and social media strategies to their business plan expands their capabilities, increases their reach, and builds trust. Agents who have their e-PRO certification believe that it is imperative to be proficient and up to date on all of the latest real estate technologies to better serve their clients.